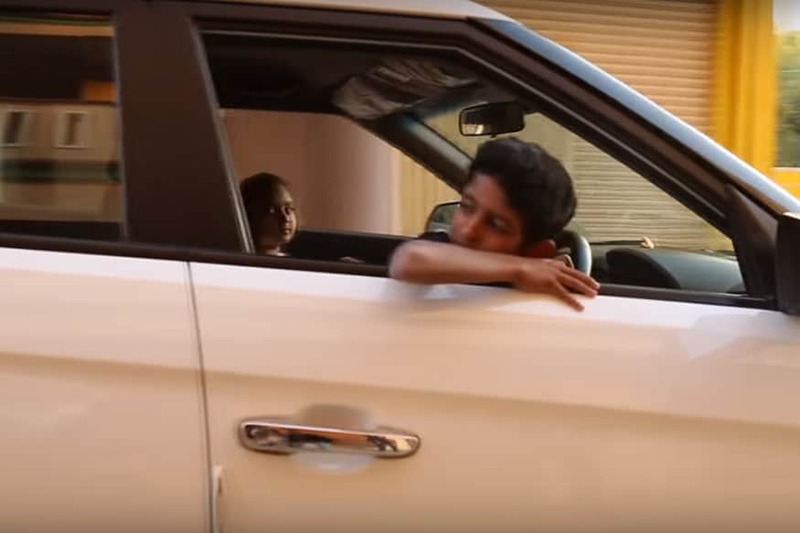 Video of a 10-Year-Old Kid Driving Hyundai Creta on Public Roads Goes Viral, Who is Responsible? The video of a 10-year-old kid who is driving a white Hyundai Creta on public roads during peak traffic hour, without seatbelts, has managed to gather 22 lakh views up until now. The internet is an interesting place. Every now and then you will come across educational videos, motivational videos, videos that make you think even after they are over and then there’s this. It is a video uploaded by a YouTube user by the name of ‘renukesh car driving 10years old’ who has only video upload. The title simply says ‘10years old’ and it has managed to gather, at the time of publishing this story – over 22 lakh views! That’s not it, the 2 minutes 14 seconds long videos has helped the channel to accumulate over 6 thousand subscribers as well. Now, this might sound like the dream start for anyone who is starting out on the popular video-sharing platform, the video’s content itself highlights several deep-rooted issues that are currently wrong with the internet. 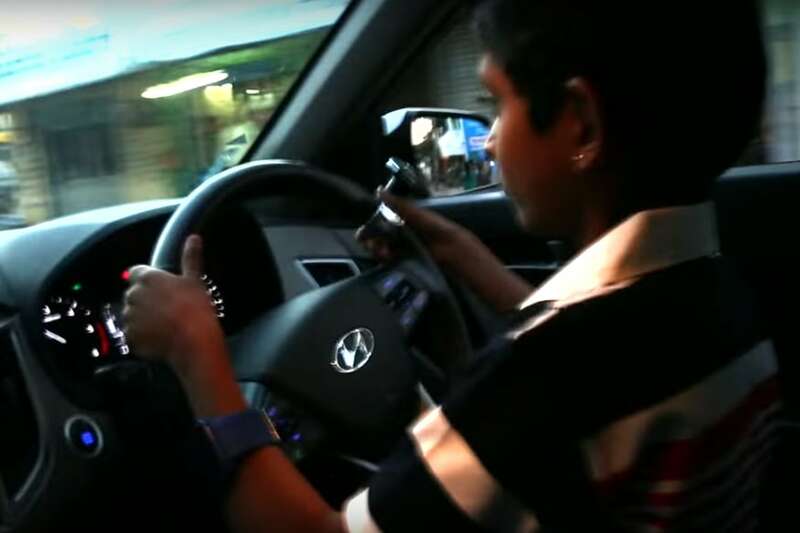 The video, as claimed by the title and the name of the YouTube channel, is of a 10-year-old kid that is driving a white Hyundai Creta on public roads. It is important to note that this is not a video that has been captured by someone who is passing by on roads and recording the shameful incident but seems to be a deliberate effort at creating this video. It starts from two kids heading out to the car in question and heading out for a drive. There are several takes taken and the video has been edited with an aim to come across as a music video of sorts which means it was a well thought out idea to shoot such a video and have it edited to, perhaps, show off something that is “cool”? Look closely and you will notice that the clock on the car suggests that it was being driven in evening peak-traffic hour and there are moments where it can be clearly seen that the car is being occupied only by the two kids, while it is being driven. Then, add to that the fact that the kids are not wearing seatbelts either. And, as for the kid who is driving the Hyundai Creta, he can be seen manoeuvring the car with a steering spinner which can turn out to be dangerous in the event of it failing to grip the stock that’s mounted on the steering wheel and the car going out of control. If that were to happen, it is tough to handle a car of this size in such a scenario even for an adult, let alone a kid who is barely able to look over the steering wheel. However, there’s more. This particular video has managed to gather over six thousand likes – almost as thrice as the number of dislikes – making one think that are there more such people who support such dangerous acts? And at the end of the day, who do you hold responsible for things like these? In this day and age it is very easy to record videos and upload them online, but at what cost? Do you hold the kids responsible, the parents, or the people who are not shy to show support to such unquestionably dangerous stunts?